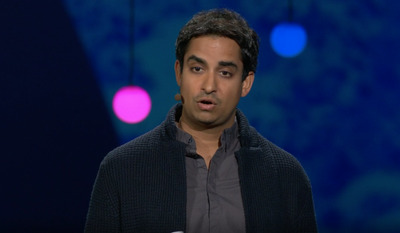 TEDProsanta Chakrabarty, a professor of evolutionary biology and ichthyology at Louisiana State University. Evolution isn’t a linear progression from bacteria to humans, Prosanta Chakrabarty, a professor of evolutionary biology, said in a new TED Talk. Rather, it’s an “unfinished book” and most species only manage to hang around for a few million years. The talk is worth watching in full below. In a TED talk delivered in April but released on Friday, Chakrabarty dispels the notion that humans are the end goal of evolution – and that evolution is linear at all. “We’re just seeing the last few pages of each chapter,” he added.